Experience is the best teacher. It is a concept Bay St. Louis native Kathleen Koch supported even before Hurricane Sandy crippled towns along the Eastern Seaboard in the fall. After the superstorm, Koch became its champion. 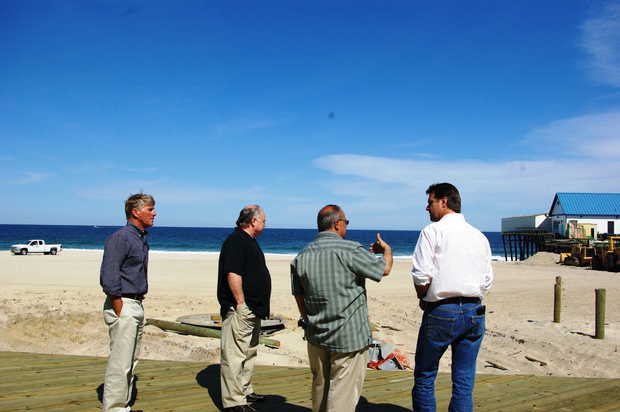 Photo by Laura Gonzalez – Seaside Heights, N.J., Mayor Bill Akers, middle right, gives the South Mississippi leadership delegation a tour of the Jersey Shore before the Bayshore Conference of Mayors on May 17. The group included former U.S. Rep Gene Taylor, far left, former Bay St. Louis Mayor Eddie Favre, middle left, and former Gulfport Mayor Brent Warr. 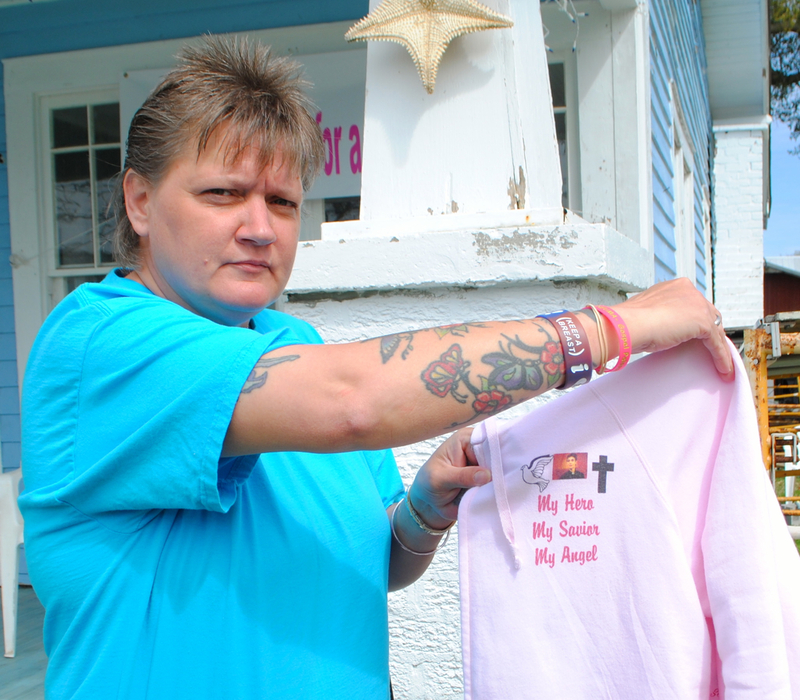 Koch said she knew what the leadership of the newly wrecked towns were facing and she reached out. She began connecting mayors of some of the most-devastated Atlantic towns with Coast officials who had been in office during Katrina. Tommy Longo, former mayor of Waveland, met with Dina Long, mayor of Sea Bright, N.J., in December. On May 17, former mayors Brent Warr of Gulfport and Eddie Favre of Bay St. Louis and former U.S. Rep. Gene Taylor offered their experiences at the Bayshore Conference of Mayors in Keansburg, N.J. In all, Koch said she has made six Gulf-Atlantic town partnerships meant to offer peer-to-peer mentoring. Some, she said, gelled better than others. The conference attendees had many questions about the sometimes difficult-to-comprehend federal response and how it might affect the towns and residents individually. Warr said: “When you are in a position like we were in — in order to keep from making mistakes that are big — you either have to go so slow that people don’t see the recovery, which is unacceptable, or you have to be willing to make mistakes, which is unwise. Warr said he also encouraged the mayors to find something highly visible to offer as a first project, which would encourage the community. Paul Smith, mayor of Union Beach, N.J., said the South Mississippi leaders offered tips on how to avoid situations that might hold back the recovery. Koch said she plans to expand her Mayors Helping Mayors program, either by starting her own nonprofit or working with an existing organization to increase the effectiveness of the peer-to-peer mentoring. Posted in: Featured Articles, Sun Herald.